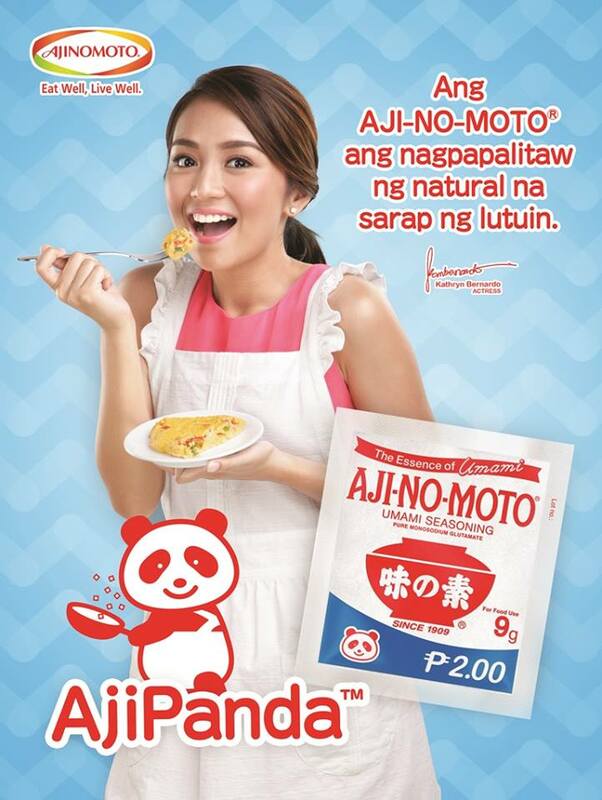 Aji-no-moto® AjiPanda™ is a new that campaign features a cute panda icon that conveys someone shy, caring, happy and loyal. It personifies how a humble pack or bottle of Aji-no-moto® Umami Seasoning fills the role of “Your Best Friend in the Kitchen” by offering an ever-reliable way of bringing out the natural goodness of food. Aji-no-moto® is simply free glutamate, the most common among amino acids (the building blocks of protein). It provides the taste of umami to food in the same way that sugar adds sweet taste or salt adds salty taste to food. Umami, on the other hand, refers to the fifth basic taste alongside sweet, sour, bitter, and salty. It is the savory, rich and full taste we often experience in meat, seafood, cheese, tomatoes and mushrooms. As your best friend in the kitchen, AjiPanda™ will help work wonders in your cooking so that you can share many happy meals with your family. Do visit http://www.ajinomoto.com.ph/AjiPanda for healthy and delicious recipes. Its complete line of quality food and seasoning products are produced by international affiliates and local toll manufacturers using Ajinomoto’s license, quality standards and technological expertise. APC’s products include Aji-no-moto® Umami Seasoning, Aji-no-moto® Brand Ginisa Flavor Seasoning Mix, Aji-no-moto® Brand Chicken Powder, PORKSAVOR® All-in-One Seasoning Mix, CRISPY FRY® Breading Mix, CRISPY FRY® Seasoned Crumbs, TASTY BOY® All Purpose Breading Mix, AJI-SHIO® Seasoning Mix, Aji-no-moto® ® Brand Sinigang and “amino Fres-C” Instant Drink Mix.